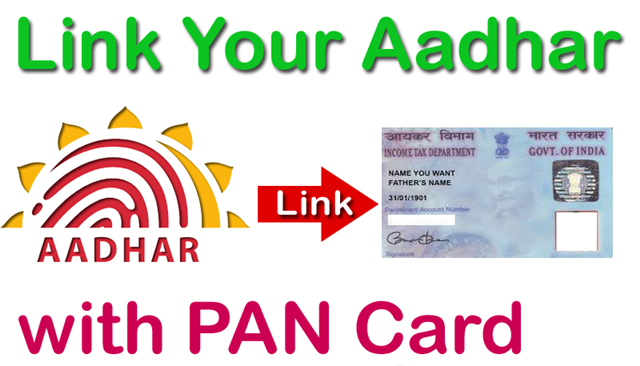 How To Linking Aadhaar Number With PAN Card: The government has made it mandatory to link existing Aadhaar numbers with PAN of taxpayers with effect from July 1.Amending income tax rules and notifying the same, the government has made quoting of the 12-digit biometric Aadhaar or the enrolment ID a must at the time of application of permanent account number (PAN). Steps 1: Visit the Income Tax department’s e-filing portal, www.incometaxindiaefiling.gov.in. 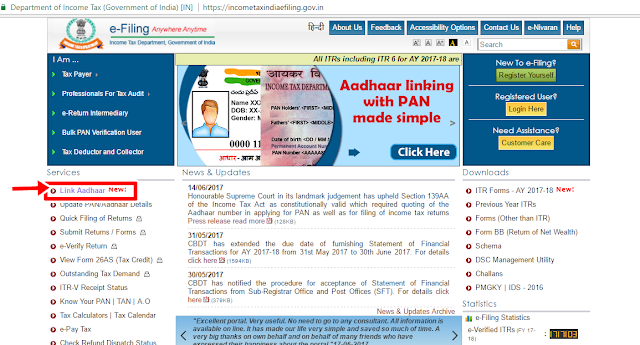 On Home Page, click on the Link Aadhaar’ button on the left pane. Step 2: Enter your Aadhaar and PAN number and provide name exactly as given in AADHAAR CARD (avoid spelling mistakes) and the captcha code. Then click the ‘Link Aadhaar’ button. 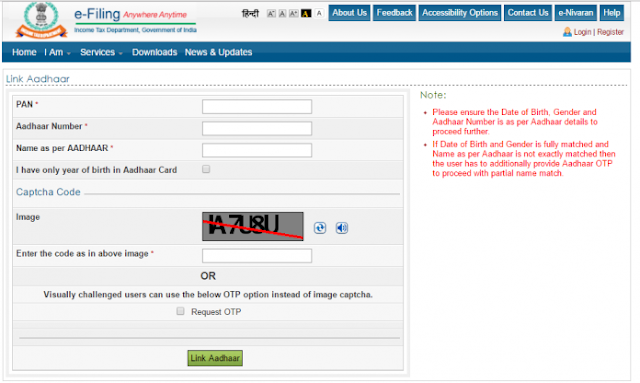 After verification from UIDAI which is the government website for Aadhaar, the linking will be confirmed. Step 3: That’s it! Aadhaar card has been successfully linked to your PAN card. You Can Also Link The Aadhaar number with PAN through SMS too. Earlier this month, the Supreme Court had upheld the validity of an I-T Act provision making Aadhaar mandatory for allotment of PAN cards and ITR filing but had put a partial stay on its implementation till a Constitution bench addressed the issue of the right to privacy. Pursuant to this, the Central Board of Direct Taxes (CBDT) had said the linking of Aadhaar and PAN will be a “must” for the filing of income tax returns (ITR) and obtaining PAN from July 1.